Hi, PR. What can I do for you? I received copies of these books for review. This post has affiliate links. 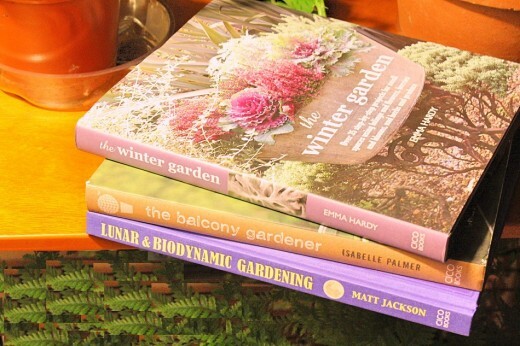 I recently received three new gardening books that I want to share with you. All three are hardcover books. They are beautifully illustrated and have tons of good information inside. The first book is the Winter Garden by Emma Hardy. It is published by Cicco Books. Ms. Hardy shares her expertise on creating gardens in winter using foliage, flowers, berries, blooms, herbs, and produce. Four chapters give step by step instructions on how to do 35 projects that will bring the joy of gardening to your home in the winter months. Learn how to plant a miniature succulent garden; grow and bloom various bulbs in glass jars and bowls; make a colorful terrarium in a glass jar; and how to grow herbs and other edible plants in winter. This was the first year that I planted a winter garden. It did ok. This coming winter, I will be armed with information in the Winter Garden to make my garden burst with color throughout the season. The Balcony Gardener by Isabelle Palmer has creative ideas for small spaces. Whether you live in an apartment with a small balcony, or in a house on five acres like I do, you will find this book useful. In addition to planting things in the yard, I like to have containers on the porch where I can see, and smell, the things planted in them when I sit out there in the evening. I also have a disability, which makes normal gardening difficult for me. Planting flowers, herbs, and vegetables in containers placed around the porch lets me do more by myself, which is rewarding in more ways than one. Isabelle Palmer’s book has some very creative ideas for using unusual containers for planting, and has given me several ideas to put to the test this spring. For instance, she uses a pallet for planting an herb garden, leaning it on its side against a balcony railing. My Mother planted by the moon phases when she was still able to garden, and her tomatoes, squash, and green beans out produced her neighbors every year. She had about 12 tomato plants and had enough tomatoes to can for herself, and give tomatoes to all 4 of her children and to the neighbors. Like moon gardeners, biodynamic gardeners closely follow the phases of the moon, as well as the alignments of the planers, stars, and our sun. However, this is neither the beginning nor the end of the biodynamic approach, as in its purest form it is also a holistic existence tht looks at life in a different way and recognizes the farm or garden as a single living organism which is directly connected with, and powerfully related to, the moon, the planets, and the stars. In fact, so is everything that springs forth from the farm or garden, including us. We may have forgotten how o listen to this, but plants have not, and ae completely in tune with the continual rhythms of nature. Lunar & Biodynamic Gardening is an interesting and informative read. I believe that it can help you get a bigger, healthier yield from your crops . It is certainly worth giving it a try. I like the Balcony Gardner book because it looks like a good book to help with gardening in small spaces. Because I do not have a lot of area to garden. Thanks for sharing these awesome books. I like books. I like gardening. I love gardening books. Those look like interesting books. Do you Cricut? 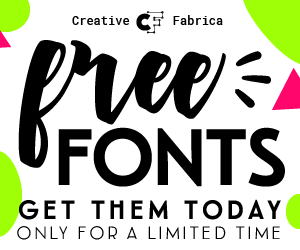 Get fonts and designs here! Acu-Rite Weather Stations: Compatible with Weather Underground! 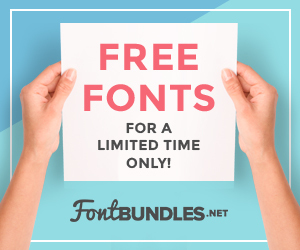 Get Inexpensive Bi-focals! Mine were under $50! My Wish List--Buy Me Something, You Know You Want To! Read All My Old Posts! A vacation to Disney World is one of the best trips you can take with young ones. There are many hotels near each Disney park, but the Disney resorts themselves are usually among the best. We’ve recently learned about the DVC Resale Market where you can buy or a rent a Disney Vacation Club timeshare from a current owner at a significant discount. We’ll have to check these out on our next Disney trip.